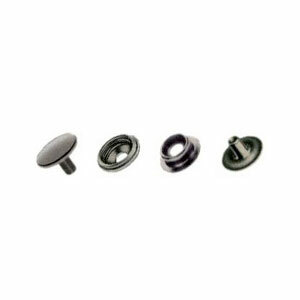 Baby Durable is an intermediate sized snap fastener with the strength of a larger fastener. It provides firm snap action and strong holding power without being visually prominent on the finished product. Baby Durable conforms to US Government MIL-10884 specifications, MS27981 Style 2A. Base Material Options Include: Brass, Steel, Brass/Stainless, Brass/Other Non-Ferrous, and Stainless Steel. 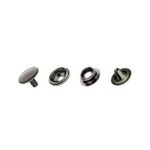 Finish Options Include: Nickel, Bright Brass, Government Black, and Custom Finishes.